One of POSL’s main strengths is its management approach, whereby we have not ‘pigeon holed’ ourselves into concentrating on ‘easy managed’ liabilities. We will consider all land offered to the company and after a site visit and a thorough inspection of all available information will prepare a robust management plan that recognises the characteristics of the site and proactively minimises or eliminates the problems. Achieving a secure managed exit will free the landowner from costly on-going maintenance and management of public open spaces which are surplus to the core business requirements. Liability management requires time, effort and money and can be an endless drain on company resources. The POSL model can in most cases reduce the client’s financial commitment in respect of liability sites. 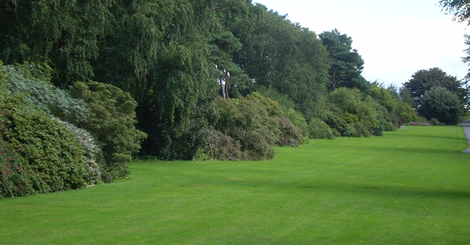 Typically divesting companies have set aside financial provisions for areas of open space which are required to be maintained over lengthy timescales. Utilising our in-house expertise we can take full freehold responsibility for sites at a much reduced value than that provided for, which presents an opportunity for clients to write back surplus provisions to profit. Is there any development potential? POSL will assess the short term likelihood of development value being achieved on the site and where development is not readily achievable, client interest can be maintained via clawback arrangements which ensure a share of future development values should they be achieved.